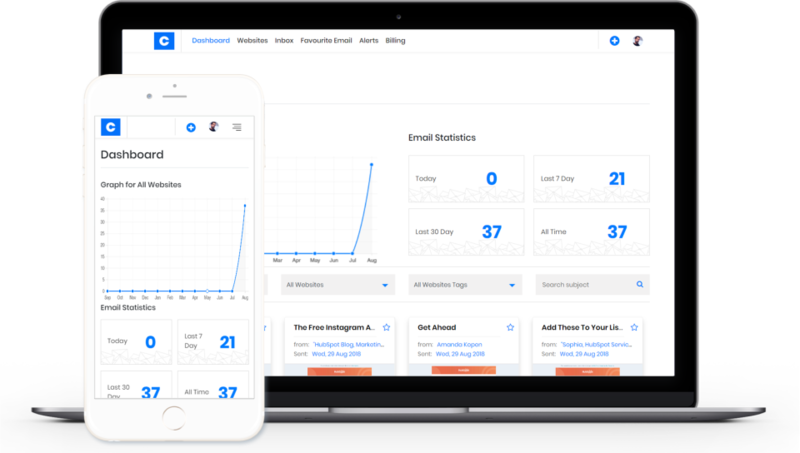 Create, manage and analyze up to 10 active email subscriptions. Catch Letter Reviews Recently Reviewed! Pros: I bought CatchLetter thinking I will most likely refund the product and after signing up for a couple of competitor campaigns I was hooked. Nothing works better than seeing with your own eyes the drip campaigns and broadcast emails. The magical part is when you see them all lined up in front of you like a chain. 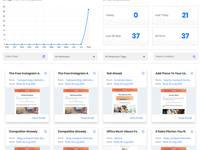 You can then easily map their funnel and figure out how to build and optimize yours (and even get some ideas on what to add, tweak and improve). Cons: The stability of the software. I had to unsubscribe and resubscribe several times to the websites I was monitoring. It is improving with time but I think the team behind Catch Letter still has some work to do there. There are also some dashboard improvements needed but those are coming down the road. Pros: # The best ever competitors newsletter spy. competitors are marketing their products, what copy they are using, and how their newsletters compare to your own. and then we can convert those findings into a downloadable document. # This tool has many potential useful scenarios we can make it. newsletters. whenever I ask any features to this product, he never says no. Cons: # Some emails i'm not receiving. I already discussed with their team. Now they are working hard to fix this. I have nothing to compare this tool, with others in the market. Pros: I do sign up for competitor lists to peek behind their strategies but I've gotten to the point that my inbox is REALLY cluttered. Catch Letter gives me a unique email address to use to signup for my competitor lists and it collects all of my emails. It keeps them organized so I can easily view the chain of messages from my competitors. Cons: Currently, I'd like to see a visual flow chart of the email timings and their order. I'd like to also be able to tag individual emails so that I can easily filter search results based off of an indoctrination email for everyone I'm monitoring. I'd also encourage the company to change up the email domain, this way there are multiple options. Pros: Look here, Catchletter is a tool that is simply to use, and causes obsessive behaviours. You can't have enough data or email swipes of your competitors - what they are selling, blogs they are using, content, content... Saves you the trouble of filing and cataloguing in your own inbox. Break down the copy, layout. Cons: Could add a notes section to make comments on the sequences you are swiping. Pros: The thing about Gmail search is that it returns too many false results that I'm not looking for. That makes it impossible to find the emails I need. CatchLetter organizes them all in neat, beautiful inboxes. So easy to find everything. Can't wait for the additional features like ad spying too. Cons: It's a new platform, so there are some bugs to work out still. But founder is responsive and has some new features up his sleeve. I wish we didn't have to make separate email addresses for EACH website though - that gets tedious. Should be one email address for every mailing list I want to join. My best kept secret weapon I never want the competition to know I use! Pros: CatchLetter allows me to see what the big influencers and competition is doing in their email marketing! This is an amazingly powerful marketing tool that effectively dissects others email marketing campaigns. Cons: Nothing, other than I wished I had known about this incredible tool years ago! Overall: The software is easy to use and the support has been fantastic every time I have a question. Thank you so much Aaron for that wonderful review. I am so glad that CatchLetter is helping you effectively under what some of the biggest influencers are doing. For small companies or large, the best way to learn marketing is by learning from the top people in the industry. Pros: This is the easiest software I have ever used. Enter a website - get a custom emailadress - subscribe to the newsletter - done.... the rest is sitting and watching the mails fly in. I am now (10/2018) looking forward to the items on the roadmap that make this tool even better. A definitive recommendation! 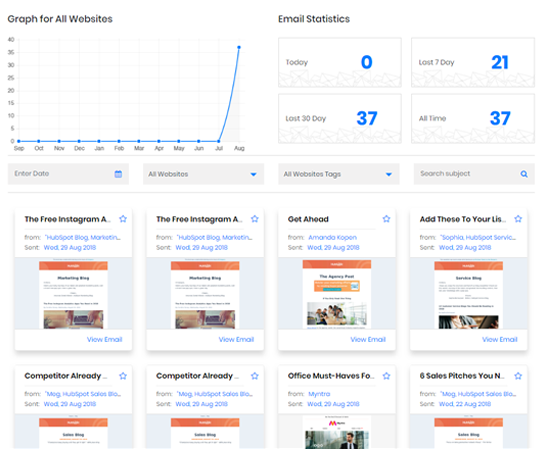 Pros: Grabs all incoming emails, take automatic snapshots of them, and present them to you with full analytics in a comfortable to read dashboard. Cons: I haven't really found anything negative yet. Overall: The best value for money by helping analyze, store, organize and recreate the competitor's emails. Pros: I really like how the tool allows me to spy on my competitors. Must have for every Internet marketer. Cons: It is a bit rough around the edges but that is because it is very new to the market. I hope they polish it in the coming weeks. Thank you so much. I am glad that you are enjoying the tool. We are still in early stages and learning from what our customers want. Our roadmap is rock solid and in next 3 months, this software will be a must needed tool by every month that relies on email marketing even slightly. Pros: It was very simple to use. and I was collecting emails within minutes. Cons: Not being able to view stored emails in a list view. Overall: Support has been excellent which bodes well for a new software application as I expect some small teething problems. So with fat rsponse times to support tickets its comforting. Pros: Manually mapping out competitor funnels and emails was pretty tedious before this. I like how everything's laid out for easy access. Cons: Teething problems mostly. Some downtime with the site but I believe they've addressed this. Overall: Great overall experience thus far. 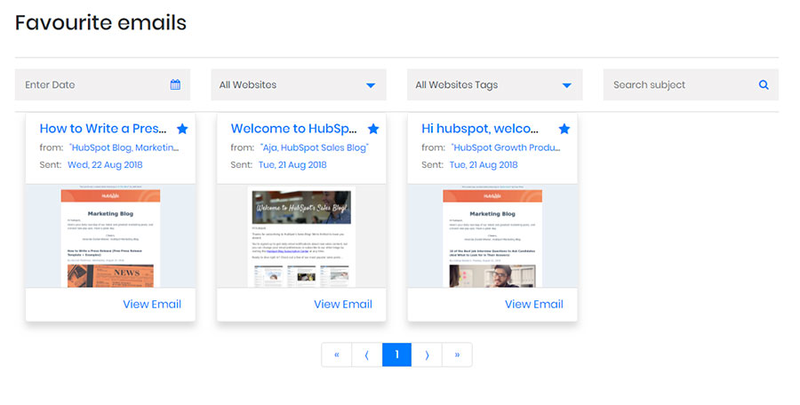 Pros: Easy to use, great for keeping your inbox free from newsletters and a great wat to improve your email marketing skills. Cons: Can take a little while for things to start coming through when you first add a site but speed has improved recently. Pros: I like how easy it was to get set up using Catch Letter. You add a campaign and it gives you a unique email, which you use to opt in to mailing lists. From there it starts collecting every email and organizes them so they're easy to sift through and analyze. Cons: I wish there was a way to import past emails. They're supposed to be adding that in, and when its available I think it's a perfect solution for what it does. Overall: I've been able to map competitors emailing campaigns and see their strategies, which makes it easier for me to come up with new and improved ideas for my own marketing. Pros: It's easy to use and saves my inbox from getting rammed with competitor spams. Overall: Everything is all in one place and it's very easy to manage. I love it. Pros: Easy to get started, do what it says and works on smart phone ! 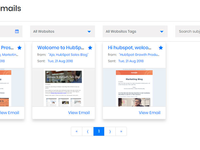 Overall: I am sick and tired of a filled inbox and started to use sanebox and other tools. The problem was that I did not get marketing emails, that I sometimes want for research purposes. Thank you so much Nick, we are glad that CatchLetter has helped you save time and help you analyze emails in a much better and smarter way. The perfect tool for Marketers! Overall: Catchletter is a great tool. It does one thing, it's simple but it does it well. It's the perfect tool to spy on competitors and/or get ideas on what is working and what market leaders are doing. Udit, the founder, has great plans for the software and uses it daily for his own businesses. It's a must have tool for any marketer! Pros: We use it daily at Deer Designer and now we don't have to spend time thinking about onboarding emails, marketing campaigns... it does it all for you! Not only the product is great, but the team behind it, which is very responsive and caring. I can't recommend it enough! Cons: UI needs a bit of love, but I spoke to the founder and they're focusing on that next. Pros: I love the way Catchletter allows me to "spy" on my competitors and swipe and learn from their e-mail marketing materials. Cons: On the plan that I signed up for I can only monitor 25 websites. I wish that number were higher. Overall: I picked this software up on a whim, and I'm so very pleased that I did. Pros: Helps you easily track competitor's emails. Cons: Unsure of what I dislike about the software, it does as described. Pros: Saves time for copy writing, use for getting all competitor tricks. 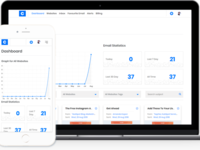 Best Email Monitoring Tool Out there! Pros: The software easy to use and intuitive. It has the need that I never knew I had. Cons: It is work in progress. The software nothing to dislike about yet.